The Journées de la culture are three days of interactive activities provided admission¬ free for Quebec residents, during which participants have opportunities to discover and appreciate arts and culture. Every year on the last Friday in September and for the following two days, arts and culture are the central theme of this public celebration held in more than 400 cities, towns and villages across Quebec. People of all ages and lifestyles, from all walks of life and from every region are invited to participate inover 3,000 free admission activities involving artists and performers from every arts and culture discipline. Since 2015, an annual theme weaves through the programme schedule, putting a spotlight on an artistic discipline. The special section on digital culture includes activities that combine technology and culture, putting digital in the heart of the action and creativity as the key element. The Journées de la culture are organized by Culture pour tous, a not for profit organization whose mission is to promote and facilitate the democratization of arts and culture in Quebec. ON SEPTEMBER 26, 27 AND 28 THROUGHOUT QUEBEC GET READY FOR A SPECIAL GATHERING! On September 26, 27 and 28, the Journées de la culture will welcome some very special visitors: YOU! From Friday to Sunday, in over 400 cities and towns throughout Quebec, over 3,000 free events will be presented to the public. Everyone—people of all ages and lifestyles, from every community and region—is invited to take part in the 18th Journées de la culture. The Journées program will feature workshops, demonstrations, walking tours and performances of all kinds. Theatre or photography fans; glasswork, stonework or ceramic art lovers; recreational acrobats; history buffs; dance, singing or painting enthusiasts; insatiable readers; comic or poetry addicts; treasure hunters; knowledgeable moviegoers or simple dilettantes . . . Regardless of your relationship with culture and the arts, you will find something to quench your thirst for knowledge and beauty. And since it is never too early to develop a passion for culture, a host of activities have been prepared for families, including 100 that are specially marked with the Choix famille Financière Sun Life [Sun Life Financial family choice] logo. Something for everyone! Again this year, hundreds of organizations, designers and organizers that are staging the Journées have shown an incredible amount of imagination in showcasing arts and culture. The following is a brief overview of what they have lined up. There is a noticeable green trend this year promoting the use of recycled materials: L’Atelier du pic-bois (Recycle) will demonstrate the amazing things that can be made with old umbrella sticks. At the Kirkland Library, music will be made using cardboard, and at Jeunesses musicales participants can make a complete clarinet, from mouthpiece to bell! The Centre des métiers du cuir de Montréal will introduce visitors to bracelet and keyring making, while École de joaillerie de Montréal will demonstrate the making of silver rings. Since there is strength in numbers, organizations often join forces to attract more visitors. That is the case with Chat des artistes, on Parthenais Street, and on the routes set up by the Complexe du Canal Lachine, Quartier des spectacles and Ateliers culture@Verdun. Some merchants located on major commercial streets, such as Plaza Saint-Hubert or Saint-Denis Street, are also hosting artists. On the Main, SDC and The Friends of Saint-Laurent Boulevard invite you to a mural hunt. On Sunday, while thousands of runners are running through the city in the Rock ’n’ Roll Oasis Montreal Marathon, the family and friends who are cheering them on can carefully plan their cultural events schedule—a great way to pass the time during the race! In a sound and film presentation, you will be able to see the inner workings of Slam Disques, which is opening its doors to the public for the very first time. A performance of Satie’s Gnossiennes at the Conseil des arts, a carillon concert at the Saint-Joseph Oratory, a tour of the great organ in the Church of the Gesù, a lutherie demonstration, and choral, opera and percussion concerts featuring music of all genres will fill the ears of music lovers. A number of major museums and cultural organizations are introducing multidisciplinary events to add variety. From north to south and east to west, Montréal’s libraries and boroughs have prepared events for audiences of all ages. And speaking of age, dozens of children’s activities have been designed to spark the imagination, for example, Usine C’s Viens avec ta grand-mère, in which the audience takes part in interactive games about love songs. Grandmothers may take the opportunity to make some goodies using a traditional recipe from the old Raymond jam factory! Lastly, Bell and its Quebec employees are doing it again this year, directing the filming in the workplace of a collective video on mental health, entitled D’un seul souffle… [With one breath . . .]. Our ambassadors: Dedicated, good-hearted people! This year, as in every year, a number of celebrities have agreed to play a very specific role, namely, ambassador of the Journées de la culture. Actors Normand Chouinard, Debbie Lynch-White and Janine Sutto, journalist Claude Deschênes and comedian Rabii Rammal will demonstrate their commitment to the arts and culture. Like us, they are doing all they can to share their passion with as many people as possible! Staying connected to the Journées Our organizers are actively involved in the promotion campaign “Get Ready for a Special Gathering,” producing short personal videos that will be published through geo-targeted Facebook posts and online on Vimeo from September 8 to 28. 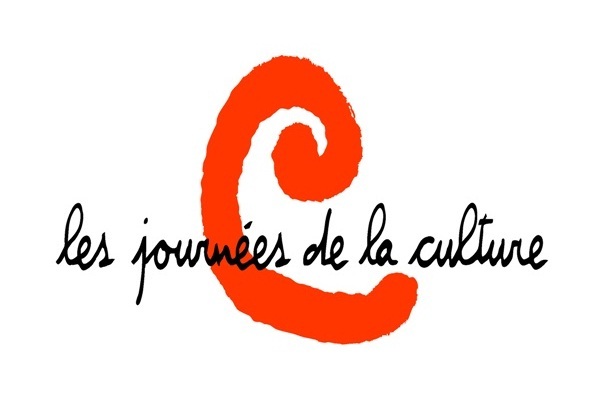 During the Journées, discoveries and favourites can be shared on our Facebook page, facebook.com/journeesdelaculture, and our Twitter feed, @les_journees, under hash tag #JCD2014. Our partners The 18th Journées is grateful for the unwavering support of its long-time partners, the Quebec Ministère de la Culture et des Communications and Hydro-Québec. Associated partners Sun Life Financial and Coop fédérée have been actively involved in helping the event grow, as well as Bell Media and TC Media, which are key promoters of culture across the province, and numerous radio stations, which have provided air time for our advertisements. Culture pour tous The Journées de la Culture are coordinated by Culture pour tous, a non-profit organization whose mission is to ensure that the arts and culture are recognized as essential aspects of individual and collective development by promoting public participation in cultural activities. Its work is done through a range of programs, such as Cultural Logbook for elementary school students, the cultural mentoring program Passeurs de rêves for high school students, Culture in Business for workplaces and research and development work in the field of cultural mediation. Come one, come all! Stories, theatre, dance, music and film, reading for toddlers, writing for older people—all kinds of workshops, demonstrations and performances will be presented free of charge on Friday, Saturday and Sunday, September 26 to 28, 2014. Whether they are artists, craftspeople, instructors, workers or cultural mediators, those preparing the events that make up the 18th Journées de la culture are getting ready for some very special visitors: YOU. Don’t miss it!